Vice Chancellor for Equity, Diversity and Inclusion and Student Affairs. This role will be filled by a dynamic individual with proven leadership skills to guide campus efforts to provide students with a transformative, inclusive and supportive living and learning experience. Reporting directly to the Chancellor, the Vice Chancellor for Equity, Diversity and Inclusion (EDI) and Student Affairs will promote the development and success of students by providing strategic vision, leadership and direction for a wide range of programs that enhance the quality of life for all UW-Eau Claire and UWEC–Barron County students. The Vice Chancellor will work with all divisions to partner and champion progress on the University’s strategic plan, its EDI plan and enrollment management plan, actively engaging faculty, staff and students in reaching its goals. The Vice Chancellor for EDI and Student Affairs is a senior administrator, serving on the Chancellor’s executive leadership team and representing the University to the UW System and to the community. As a colleague and partner with the Vice Chancellors for Academic Affairs, Enrollment Management and Finance and Administration, the Vice Chancellor for EDI and Student Affairs collaboratively guides and advises the Chancellor and University leadership on student support services, initiatives supported by the Dean of Students, and campus-wide student and EDI initiatives in service to UW-Eau Claire’s goals for an equitable, inclusive and safe university for all its students, faculty and staff, especially those of marginalized identities. The Vice Chancellor must be adept at facilitating difficult discussions, shepherding change, creating and strengthening partnerships, and aligning an array of efforts across campus in service to student success. The University. 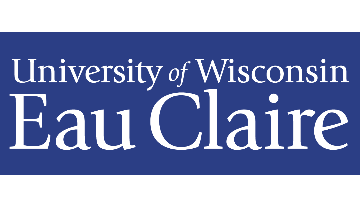 The University of Wisconsin-Eau Claire is a breakout leader for academic excellence and high-impact practices in the UW System. Consistently ranked among the top five public Midwestern universities, UW-Eau Claire recently earned the top national award for undergraduate research collaboration, a 50-year faculty-student tradition with global impact. Our campus is known for natural beauty, spanning a winding river, and its hilltop residence halls overlook magnificent views of the Chippewa Valley. More than 10,500 students are drawn to this vibrant hub where innovation, leadership, diversity and inclusion are core values. Groundbreaking community partnerships in manufacturing, business, health care and the cultural arts produce myriad opportunities for scholarship and internship. Average class size is 27 with a faculty/student ratio of 1:21. The University is noted for low debt for graduates and high value at a competitive tuition rate. The growing city of Eau Claire is located about 90 miles east of Minneapolis, with a population of about 70,000 that swells to 170,000 in spring and summer, when a half-dozen major music festivals draw visitors to the “Music Capital of the North.” The vibe on campus and in the surrounding community is one of boundless possibility and lifelong learning. Come grow with us! Develop, implement and assess an institution-wide EDI plan. Design and implement strategies to help campus units recruit, support, and retain diverse students, faculty, and staff. Contribute to campus-wide efforts to improve campus climate through professional development and anti-bias training for all faculty, staff and students. Lead campus-wide efforts to develop, deliver, and assess professional development on EDI to all students, faculty, and staff. Align and integrate EDI efforts taking place across both Eau Claire and Barron County campuses. Support and strengthen the division’s contributions to the mission and goals of the University. Foster and grow collegial partnerships across divisions that are more than the sum of their parts. This requires leadership and followership, vision and grassroots effort and the ability to get things done. Lead a collaborative vision and planning effort to define clear direction and strategic goals for the division. Support development, implementation, and accountability of department- and unit-level EDI and Student Affairs plans. In collaboration with Academic Affairs, develop initiatives that promote student engagement and learning. Continue to integrate UWEC-Barron County student services into institutional student affairs in ways that preserve distinct missions as well as common purpose and support of students. Collaborate with all divisions, especially Academic Affairs and Enrollment Management, to support our enrollment management goals, student success and student development. Advise the Chancellor and other campus leaders on institutional student services, student development, equity, diversity and inclusion. Serve on the Chancellor’s executive leadership team and represent the University to UW System, to University stakeholders and to the community. Engage with the Eau Claire community to foster collaborations and partnerships in support of the University’s student success and EDI goals. Use climate studies, demographic data, policy analyses, and other data to develop, support, and assess EDI and student affairs initiatives. Work with campus student, faculty and staff leaders, stakeholders, and the University Planning Committee to ensure current and future EDI and student affairs plans are aligned and integrated with other campus planning processes. Experience in creating, implementing and evaluating successful student development and support initiatives that promote student engagement and learning for all student populations. A passion for relationship-building and a predilection for partnering. The ability to initiate and implement large-scale programs and projects. The ability to lead programs rooted in education, critical thinking and theory. The ability to gather, review, and interpret data from all stakeholders to inform decision-making. Master's degree or equivalent level of education from an accredited institution. Doctoral or other terminal degree. Professional experience in higher education. A history of effective leadership in a culture of shared governance. Leadership in relevant professional and community organizations. The position is open until filled but only applications received by April 10, 2019 can be assured full consideration. Applications are submitted and received electronically. Please follow instructions found on the following UW-Eau Claire Web site: https://www.uwec.edu/about/chancellors-office/vice-chancellor-searches/ . Names and contact information for five references. Please direct request for additional information to the University of Eau Claire Chancellors office at (715) 836-3331. The university reserves the right to contact additional references with notice given to the candidates at an appropriate time in the process. No references will be contacted without the explicit permission of the candidate. Employment will require a background check. Employment will also require you and your references to answer questions regarding past conduct related to sexual violence and sexual harassment. The University of Wisconsin System will not reveal the identities of applicants who request confidentiality in writing, except that the identity of the successful candidate will be released. See Wis. Stat. §. 19.36(7).